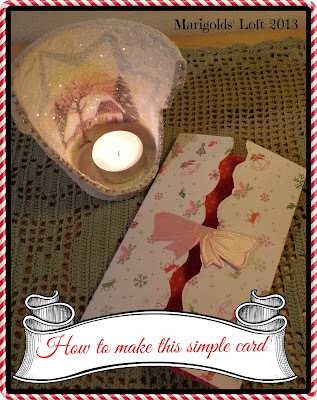 Today I am going to show you how to make this quick and simple card. 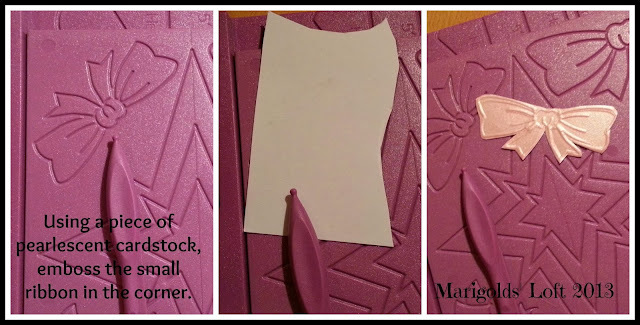 On the card side of your board, place your A5 piece of card face-down. 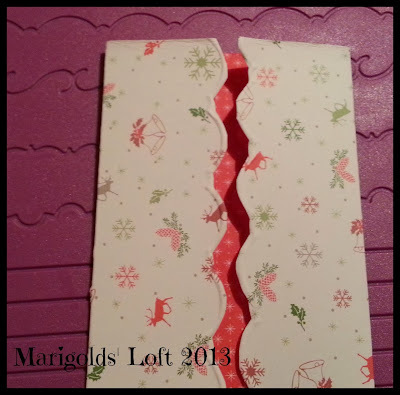 Score along the Concertina A5 Line. Turn your page around (180°) and do the same on the other side. 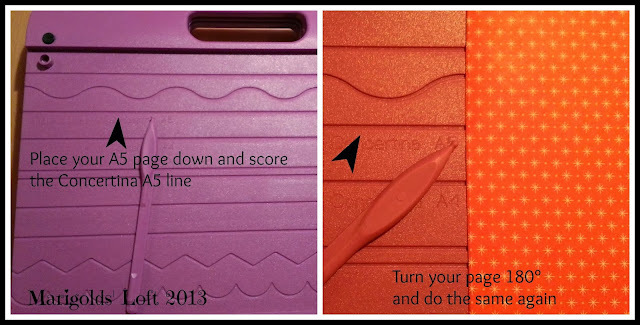 Using the side of the score stylus, fold the scored lines over neatly. 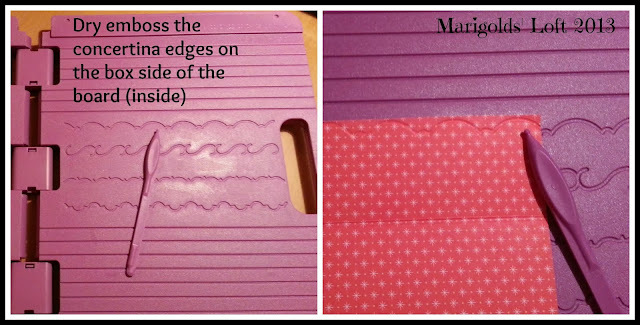 Open the board and on the box folding side, dry emboss the edges of the concertina folds. Cut around the embossed lines. 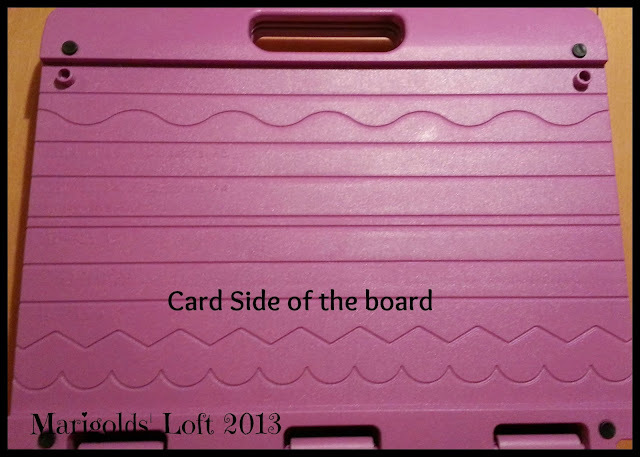 Now lay your "Angels and Wings" board on top of the card scoring side of the board. 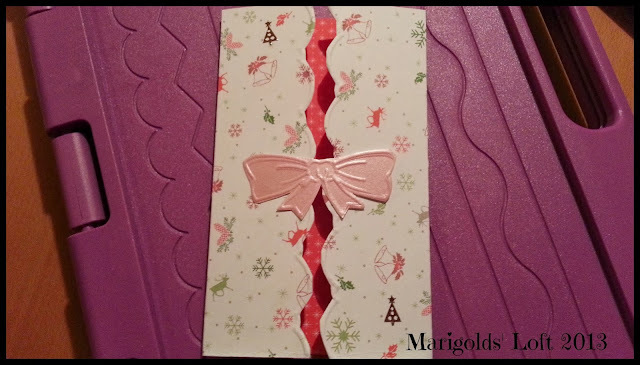 Lay a small piece of pearlescent card-stock over the ribbon in the corner (Face down) and emboss it. 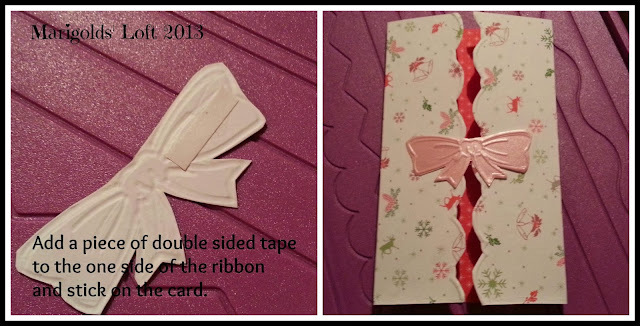 Add a small piece of double-sided tape to one side of the ribbon and stick in the appropriate spot on one side of the card, over the opening. 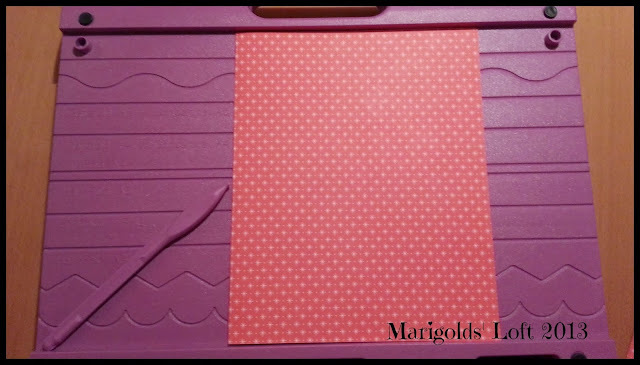 Link up your crafts and tutorials below. 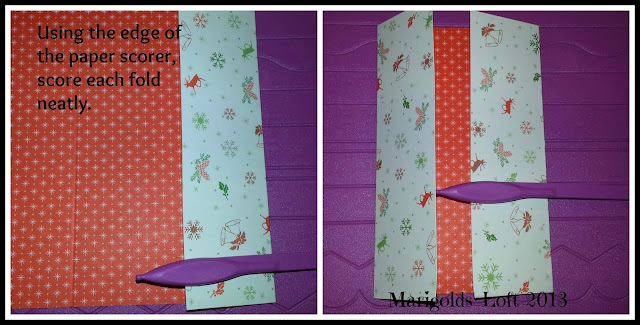 I can't wait to see your new crafts that you have been busy with, please link them up below. To be featured at the end of this month you will need to link up all your well-laid out festive tutorials. 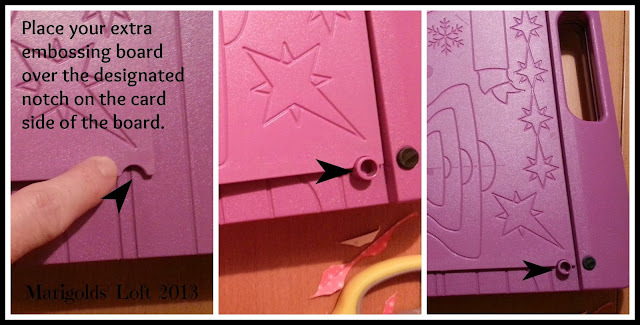 Your tutorials can be creative, handwork, recipe or any other tutorial that you feel fits the bill. 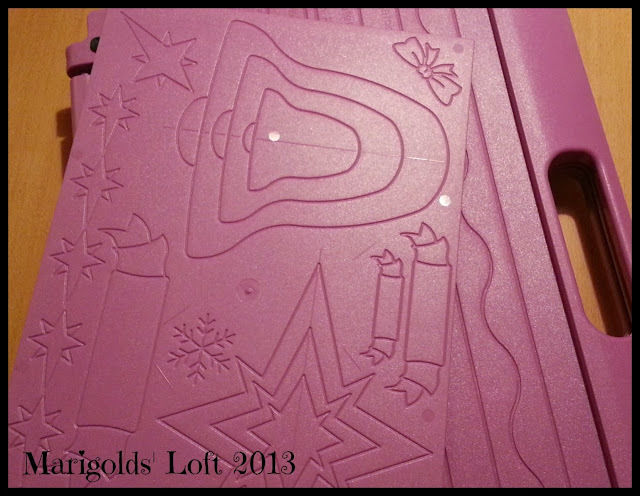 So to reiterate, I will be featuring all tutorials that have something to do with the festive season. I need one of those thingies you use to make those cards. Too neat! Thanks for hosting!! Thank you so much for hosting today's part of the month-party! So glad to be here today, linking up my Bridal Shower Cupcakes from the weekend ♥ Haven't written any festive posts so far this year, really should start to... but enjoying seeing everybody else's! Thanks so much for dropping by and taking part. Thanks for visiting my site and leaving a comment, I really appreciate each and every one. Recent visitors :) Thank you! I am a firm believer in the Law of Three or Karma. Taking my info and using it as your own is unlawful and morally incorrect. Copyright Marigolds' Loft 2011. Theme images by tjasam. Powered by Blogger.